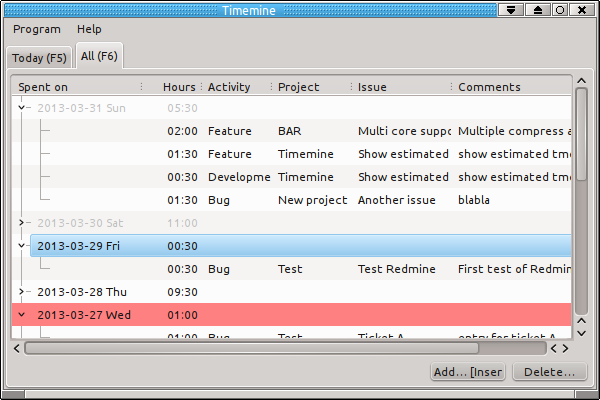 Timemine is a graphical desktop front to add and edit time entries in the project management tool Redmine [http://www.redmine.org]. Timemine show a daily view of the time entries for the logged in user and a summary for each day in a tree view. It stays in the background and is accessible via a tray icon. 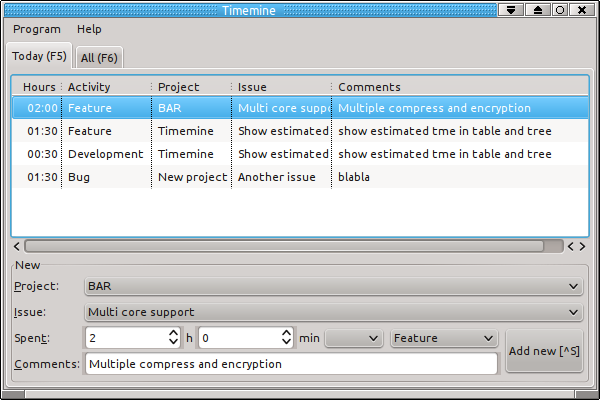 Timemine is currently under GPL version 2. 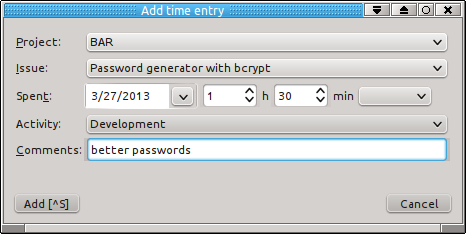 If you are interested in development work and the most recent development version, please contact me. Note: versions with a character suffix are bug-fix versions. Note: currently I have no access to a Solaris and MacOS X system where I can test the Solaris and MacOS X packages. * added missing image "offline"